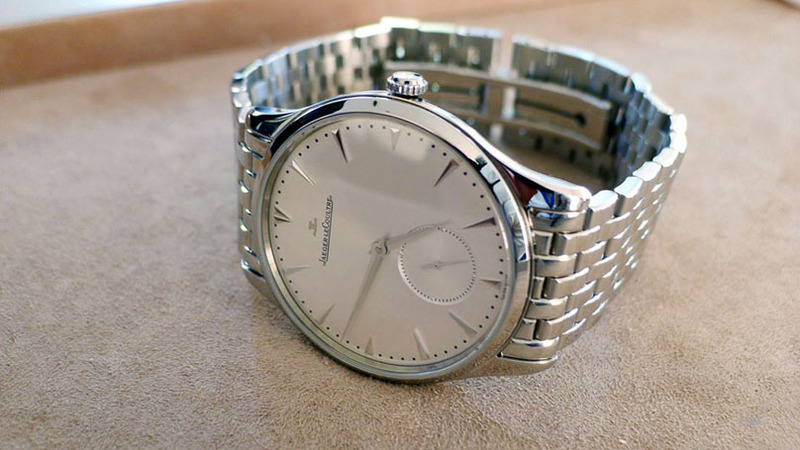 TimeZone : Jaeger-LeCoultre » The Master Grande Ultra Thin Speciale Italica? I just saw a photo of this watch and wondered if anybody knows the history and specs of this watch. It appears to be a stainless MUT Small Second but with a black dial and a red second hand on the sub-dial. Thanks. It would have been produced around 5-6 years ago, and a limited edition of 100 pieces. Can't help on the history of this reference but it is a striking piece with the red accents. Thanks for bringing it to my attention. That's it, although in the photo I saw the hour markers were silver. Perhaps it is just the lighting in your pic. I couldn't post the photo because it was from a dealers website. Pre-owned are out there, even in small editions. As for new, you could try contacting Jaeger-LeCoultre, or contact a boutique/ADs in Italy. Sometimes a lone piece is still around years later. I have looked for years. Could never find one. I asked BHB once. No luck. I find it a unique look.